Custom Photo Letter Collage, Custom Photo Monogram, Letters with Pictures. 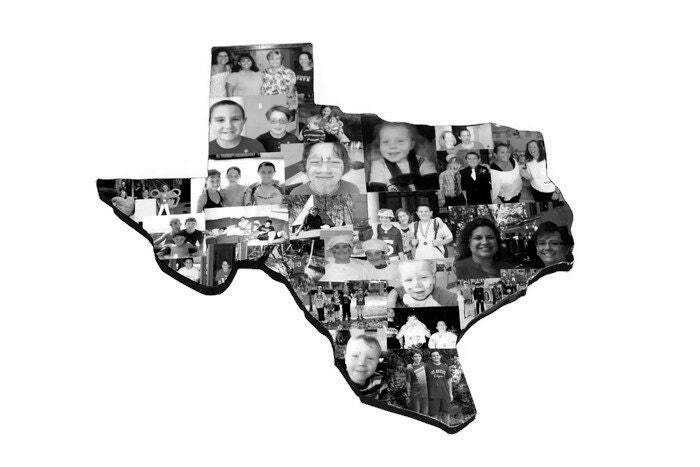 Here I have created a custom Photo State Collage. 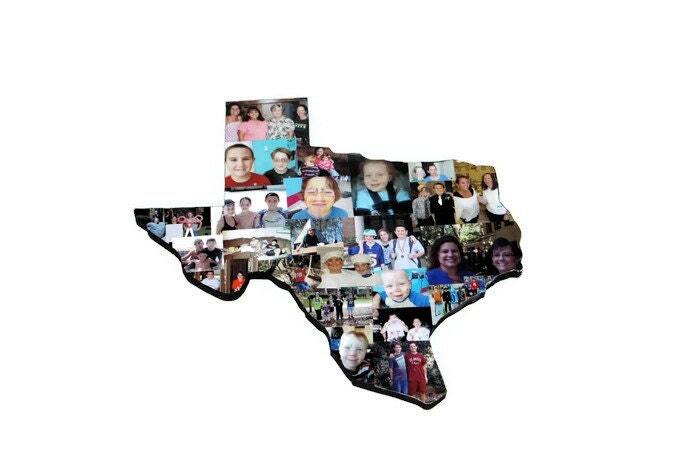 These collages will be great for sending that special someone off to college or giving as a gift for someone who is leaving their home state to live in another. * Each state comes with a picture hanging hardware to hang on your wall. You wont find anything like this on Etsy. 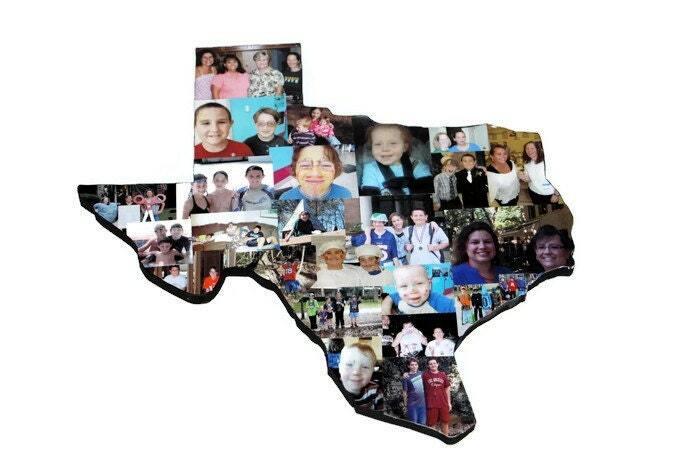 Each state or country is made from a free hand drawing of the state, is hand-cut and customized with your photos. I will arrange your photos, some big, some small to cover every edge of your state or country. Each hand crafted state takes many hours to complete and I only use high quality photo paper, ink and supplies to make it. Once it is completed I add a sealant on it to protect your photos. If you wish to have a country done please convo me to see if I feel I can do it and I will make a custom purchase order for you. 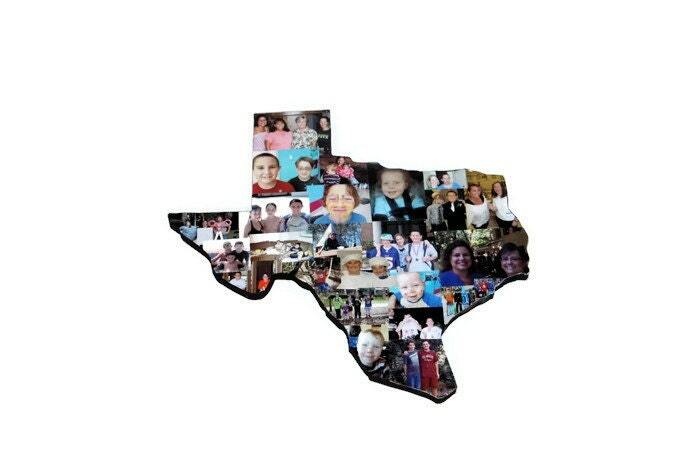 • Great for any occasions; birthdays, anniversaries, holidays, weddings, Fathers day for dad, Mothers day for mom, bridal showers, graduation, prom, homecoming, senior portraits, going away, housewarming, baby showers, a baby room. So how does it work? Through the grace of technology there are many options and ways for me to get your precious photos. This process can be done through email, Facebook, Instagram, Twitter and other websites such as Photobucket, etc. Order the letter(s) or number(s) you desire then send your photos to Heather at BBCC [!at] neo.rr.com. I like to have at least 30 pictures for the state collage. I typically will use less than that but I like to have a few extra. 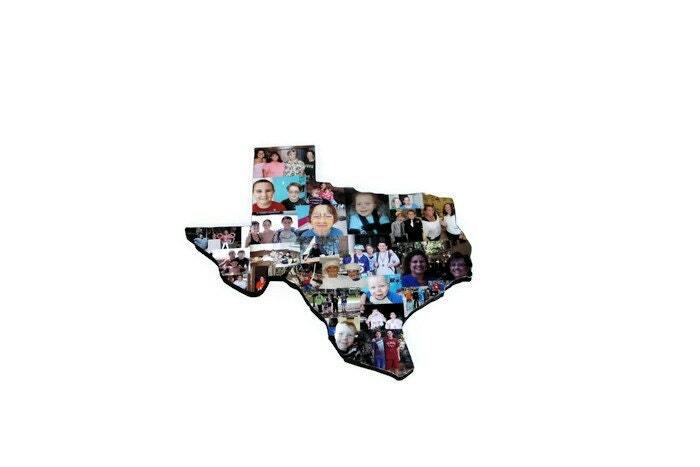 Your photos will be hand cut, resized, cropped and arranged on your wooden state. If you are ordering black and white, I will transform your color photos into black and white. Color photos are also an option. Beautiful! Exactly what I wanted!